Obituary for Wayne A Barlow | Thomas J. Shea Funeral Home, Inc.
Wayne A. Barlow, 62, of Kirkwood, passed away peacefully surrounded by his family on August 28, 2018. He is predeceased by his parents Elmer and Lois Barlow. He is survived by his loving wife of 34 years Suzanne Barlow; children Rebecca Prutisto (Anthony), Katie Barlow, Dan Barlow; sister Janet Aldrich (Dave); brother Lynn Barlow (Laurie); brother in-law Paul Sacco (Ning), sister in-law Dianne Gray (Tom ”Bucky”) , brother in-law James (Kristen) Sacco; nieces and nephews Colleen, Kristen, Meghan, Nicholas, Joe, Anthony, John Paul, Peter, Michael, Patrick. Wayne was a technology teacher for 30 years at Johnson City High School. After retirement he continued his love of teaching in the Windsor and SV school district as a substitute teacher. He was a scout leader for Troop 68 in Windsor. 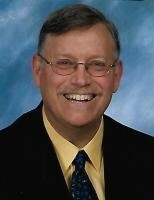 His love of music was exemplified by being the choir director Conklin Presbyterian Church for over 30 years. His greatest joys were gardening and cooking for family and friends. Visitation will be held on Monday September 3, 2018 from 4 until 7pm at the Thomas J. Shea Funeral Home Inc, 137 Robinson St. Binghamton, NY 13904. A Funeral Service will be held at 10am on Tuesday September 4, 2018 at Conklin Presbyterian Church, Conklin, NY. Burial will follow in Calvary Cemetery.